AYS was established in 1968 as a family business, and is still enjoying this recipe of success today! A family based business has the overwhelming advantage of understanding and utilising team work, which is the ground rule for all successful businesses, and we like to think that we extend that feeling of team work throughout AYS. We are ISO 9001:2015 certified. In the context of ISO 9001:2000, 'certification' refers to the issuing of written assurance (the certificate) by an independent external body that it has audited a management system and verified that it conforms to the requirements specified in the standard. 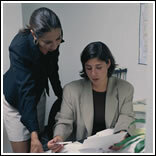 'Registration' means that the auditing body then records the certification in its client register. 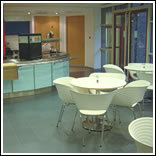 We have many single and multi operative contracts that have been established for many years. Our clients have employed AYS as they find us to be efficient, professional and committed to providing a service that is second to none. More than that our customers get true value for money - something that everyone wants. Indeed the majority of the business has come through word of mouth recommendations, a flattering testimonial to the quality of our work, which a number of customers have reiterated in writing. Our relationship with our clients is paramount. We share their goals, cost effective servicing solutions matched to a particular environment and circumstance. Our determination to listen and work together to achieve these goals has led to many successful and long term relationships. With a distinct policy driving us towards a truly local service, we believe in restricting our operations to a 50 mile radius of our office in Maidenhead. This enables us to successfully control and manage our contracts with a personal touch. Every contract receives the same high level of service but with an individual approach that is tailored to meet with your requirements. Close supervision and locality lets us do our job to your satisfaction and allows our clients that most important of commodities - your peace of mind. Since the founding of AYS we have gained considerable market and industry knowledge and yet we still aim to improve! Continual client liaison and feedback maintains this target. 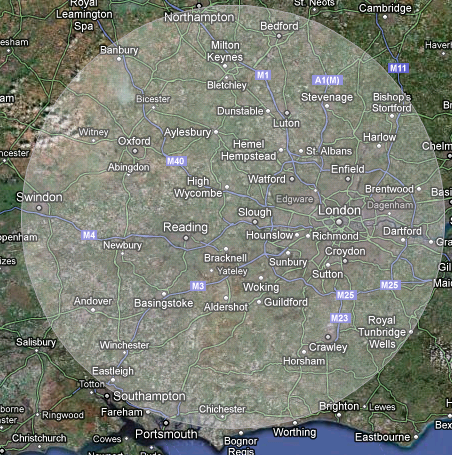 To ensure our service is as efficient as possible we only operate out to a 50 mile radius from our headquarters. We would like you to experience the AYS difference and allow us to be AT YOUR SERVICE.